Shareholders' wealth can be defined as total market value of all the equity shares of company. So when we talk about maximising wealth that means we talk about maximising thevalue of every share. 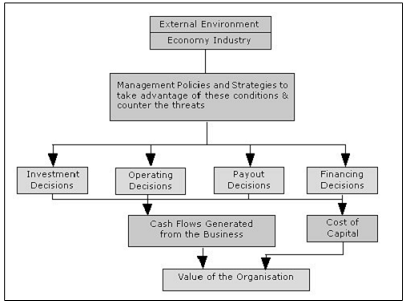 How the decisions taken by organisation affects the value ofthe organisation is reflected in the figure. How do financial managers calculate the average tax rate? Average tax rates are computed by dividing tax dollars paid by earnings before taxes (EBT). Based on the period involved in repayment of the debt obligations, the debt instruments could be classified into long-/medium-/short-term debt instruments.